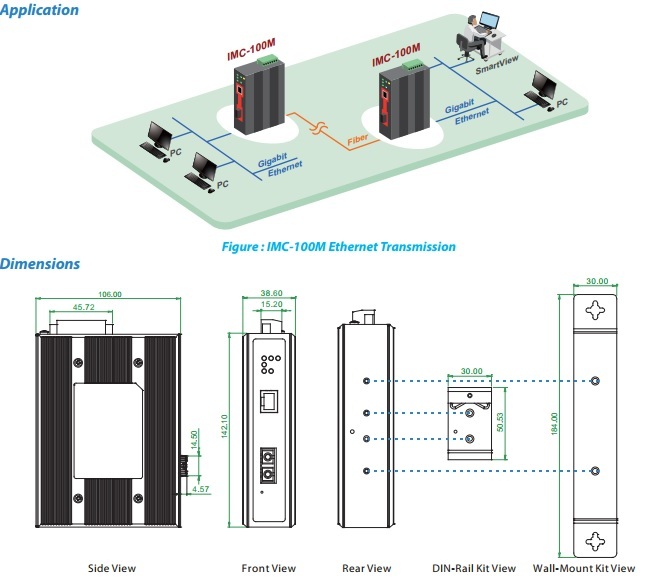 IMC-100M is a family of managed Fast Ethernet media converters that support conversion between electrical 10/100Base-TX and optical 100Base-FX Ethernet. 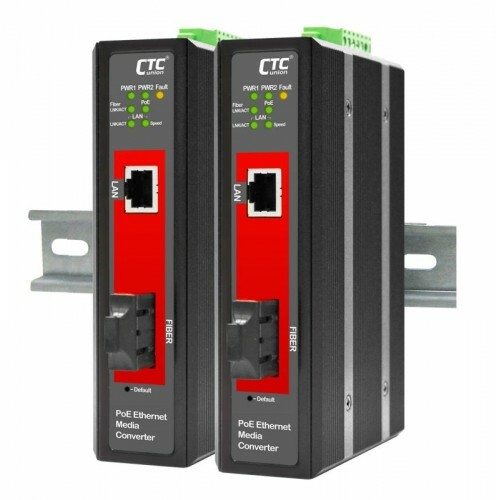 Housed in rugged DIN rail or wall mountable enclosures, these converters are designed for harsh environments, such as industrial networking and intelligent transportation systems (ITS) and are also suitable for many military and utility market applications where environmental conditions exceed commercial product specifications. The converter is Web Smart managed with an easy to use Web user interface for OAM&P (Operation, Administration, Maintenance & Provisioning), including bandwidth control, duplex, speed, and VLAN configuration. The converter is IEEE802.3ah OAM compliant, making it able to be linked to any 802.3ah compliant fiber switch to support loop back and dying gasp functions.